Newly elected Republican governors have been falling over themselves to return federal funding earmarked for high-speed rail; a new report shows this strategy is going to backfire economically. Plus, you’re not stuck in traffic and your friendly TSA agent doesn’t have to caress you. All aboard now? Since the elections in November, newly elected Republican governors have been falling over themselves to return federal funding earmarked for high-speed rail. Their rationale is that once the rail project is built, the state will be the one bearing the operating cost while the trains lose money because no one is riding them. A new report says that this strategy is going to backfire: High-speed rail can be a huge driver of jobs and economic growth, and the government has already committed to at least $10 billion worth of spending, with plans for tens of billions more in the coming years. 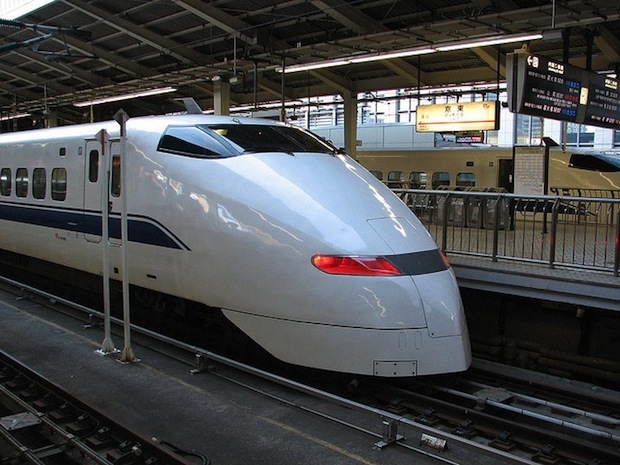 The report, “The Case for Business Investment in High-Speed and Intercity Passenger Rail” (PDF) by the American Public Transportation Association finds that in addition to the obvious, but temporary, construction jobs, the benefits ripple out throughout an economy. Most importantly, for each $1 billion spent on train construction, 24,000 permanent jobs are created. That’s a mere $41,667 per job, which looks downright cheap when you’re staring down 9% unemployment. Better for the bottom line, better for the environment. Plus, you’re not stuck in traffic and your friendly TSA agent doesn’t have to touch you in your special place before you get on.